Wanting to brighten your smile with cosmetic dentistry or get a routine teeth cleaning but can’t make it to the dentist during the week? Get the same dental health, cosmetic, and advanced family dentistry services you need on your schedule at Meridian Dental. Our Wasilla dentists have convenient Saturday hours (9am-3pm) and extended evening hours on Wednesdays and Thursdays (7am-7pm). We also offer emergency after hours dental services for current patients when scheduling an appointment can’t wait. Don’t sacrifice your oral health just because you can’t come in during regular work hours. Visit Meridian Dental’s local dentists near you in Wasilla, serving the entire Mat-Su Valley including patients in Palmer, AK. Schedule dental services on Saturday or check our availability in the evenings. We’re proud to offer our patients the same great care at times that are more convenient for them. 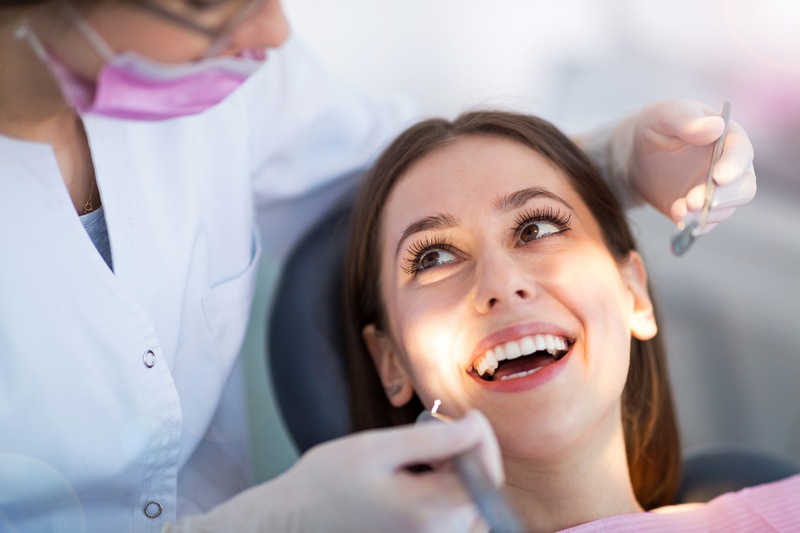 Keep your smile healthy and looking great with services like dental implants to replace missing teeth, Invisalign treatment to gradually straighten teeth, or tooth fillings to help prevent additional tooth decay and cavities. Whatever treatment or care you need, our experienced dentists and compassionate staff are ready to provide it. We may be open late, but we won’t keep you later than is necessary. Because Meridian Dental uses some of the latest advancements in dental technology, we can get you in and out of our office sooner. One example of this is our use of same-day crown technology that sculpts a custom tooth crown in our office in just a single appointment. No need to schedule another appointment or wear a temporary tooth cap in between. Get the same, high-quality permanent crown in one appointment! When you can’t break away from work or your schedule during the week, come in on the weekend! If your Saturday is packed full, schedule an appointment during our evening dentist hours and keep the weekend yours. Meridian Dental dentists will do whatever we can do to maintain your dental health without interrupting your busy schedule. When you take a bite out of a piece of hard candy, when a game of basketball goes awry, or when an untreated cavity slowly makes your teeth more brittle, you may find yourself with a tooth chip or broken teeth. If the break doesn’t reach the roots, it may not be too painful, but can be more easily remedied the sooner you come in. Whether it’s for cosmetic reasons or to save the tooth, we’ll see you even during irregular dental hours. Meridian Dental can get you in sooner for an emergency appointment when a tooth crown, dental filling, or tooth falls out. The faster you come in, the more we can mitigate any damage. Left alone, a missing filling can allow for more tooth decay, or a missing crown can leave a vulnerable tooth unprotected. A missing tooth or teeth should be replaced quickly, such as with a tooth bridge, dentures, or a tooth implant, so teeth have less chance to misalign or alter the bone structure. The reason behind your toothache can come down to several problems, some of which may not be as severe as others. 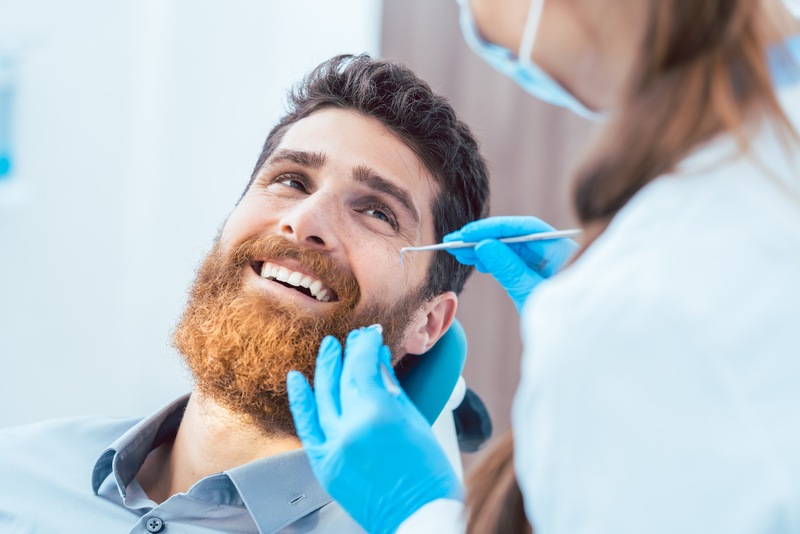 But if it turns out to be a major issue like infected pulp needing a root canal or an extreme case of periodontal/gum disease, the sooner we can get you in the better. Don’t take chances when you start feeling tooth pain. Call our Wasilla dentists’ emergency line at (907) 376-9200 and make an appointment after hours. A dental abscess is a painful, pus-filled swelling that usually indicates an infection in the pulp or roots of your tooth. It may be the cause of your tooth pain and should be addressed as soon as possible. If you can’t get in for dental services on Saturday or during our evening dental services, call the Meridian Dental emergency line. Our after hours dentist appointments usually are limited to emergency appointments for current patients. But we do accept walk-ins during our normal working hours, including our Saturday and weekend dentist appointments and extended evening dentist openings. Meridian Dental is here to provide residents of Wasilla, Palmer, and all of Alaska’s Mat-Su Valley with the best dental services. Whether that’s on the weekend, in the late hours of the evening, or in case of emergency, our dentists will give you the dental services you and your family need in a timely fashion. We believe that dental care shouldn’t be an afterthought or something you try to fit in when you have room in your schedule. We know how important it is to keep teeth healthy, and how much it improves a person’s self-esteem to keep teeth looking beautiful. That’s why we’ve made our cosmetic dentistry, advanced dentistry, and regular routine dentistry more accessible to our patients. Make no excuses for your dental care! Contact Meridian Dental today. Schedule a Saturday dentist appointment or come in during our evening dental hours in Wasilla for a smile that looks and feels great.